If you’ve been natural long enough, you've seen a product or ingredient being praised--and vilified. What was once sent from above becomes the most taboo of products. In the heat of the controversy, facts and actual useful information about the product get lost. Baking soda is one such product. 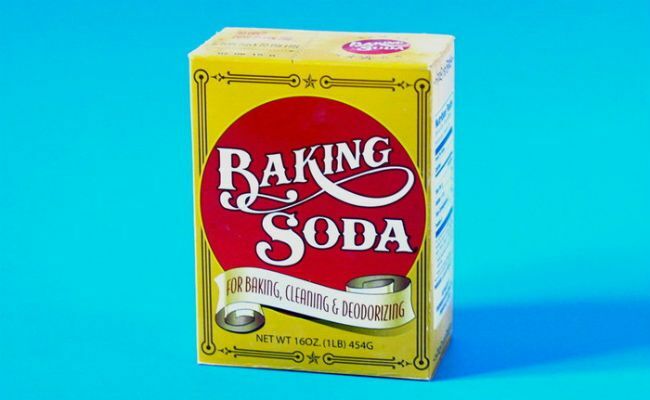 Baking soda is a workhorse product that can perform a variety of functions in the home and personal care. Add it to your toothpaste for a whiter, brighter smile or use it in your laundry to help clean and freshen your clothes. There are many uses for this very inexpensive and accessible item. Here’s why you should add it to your grocery list and start using it as an occasional clarifier for your hair. Baking soda has the ability to absorb grease and has a gritty texture that makes it great for gentle exfoliation of the scalp. Known also as sodium bicarbonate or bicarbonate of soda, baking soda has a high pH which, when used on hair, will open the cuticles of the hair shaft to allow moisture in. While this can be a good thing, it is possible to have too much of a good thing. The ideal situation is to follow your baking soda cleanser with an acidic product that will allow the cuticles of the hair to return to a closed position. Apple cider vinegar, aloe vera juice or gel, or a pH-balanced product (4.5-5.5) are all ideal for using with baking soda to balance the pH level of your hair. Open cuticles lead to tangles, knots, breakage, frizz and dull hair. Closed cuticles seal in moisture, reduce frizz and the associated knot, tangles and breakage that can result. Closed cuticles also reflect light giving hair a healthy looking shine. Make your own DIY baking soda clarifier by following the simple recipe below. Stir mixture until baking soda has dissolved. Massage into hair and scalp and rinse hair thoroughly. Follow with an acidic product to restore hair’s normal pH level. It is important to remember that there may be a period of transition as your hair adapts to baking soda as a clarifier. Allow your hair a few sessions to assess if baking soda as a clarifier is the right product for you. There are benefits to using baking soda as a clarifier: it’s cheap, will remove all the oil, grease and impurities from hair and scalp and will open the cuticles to let moisture in. Open cuticles are not a bad thing, in fact, the reason we use heat when we deep condition to open the cuticles so that the beneficial ingredients have an easier time getting within the hair shaft. The key is to ensure you return the cuticles to a closed position afterwards. If that’s not done, then you could experience porous, fragile or dry hair that is prone to breakage. I cannot stress enough that you risk damage to your hair when using baking soda to cleanse it, if you do not follow up with a product of low pH that will restore the hair to its natural pH levels and close the cuticles that were opened by the alkalinity of baking soda.